What Does Nature Have To Do With Generosity? On a relatively unfrequented, stony beach there is a great rock which juts out over the sea. After a climb, an ascent from one jagged foothold to another, a natural shelf is reached where one person can stretch at length, and stare down into the tide rising and falling below, or beyond to the bay, where sails catch light, then shadow, then light, as they tack far out near the horizon. The sun has burned these rocks, and the great continuous ebb and flow of the tide has crumbled the boulders, battered them, worn them down to the smooth sun-scalded stones on the beach which rattle and shift underfoot as one walks over them. A serene sense of the slow inevitability of the gradual changes in the earth’s crust comes over me; a consuming love, not of a god, but of the clean unbroken sense that the rocks, which are nameless, the waves which are nameless, the ragged grass, which is nameless, are all defined momentarily through the consciousness of the being who observes them. With the sun burning into rock and flesh, and the wind ruffling grass and hair, there is an awareness that the blind immense unconscious impersonal and neutral forces will endure, and that the fragile, miraculously knit organism which interprets them, endows them with meaning, will move about for a little, then falter, fail, and decompose at last into the anonomous [sic] soil, voiceless, faceless, without identity. From this experience also, a faith arises to carry back to a human world of small lusts and deceitful pettiness. A faith, naive and child like perhaps, born as it is from the infinite simplicity of nature. It is a feeling that no matter what the ideas or conduct of others, there is a unique rightness and beauty to life which can be shared in openness, in wind and sunlight, with a fellow human being who believes in the same basic principles. At first blush, you may think spending time in nature has nothing to do with Living Generously. 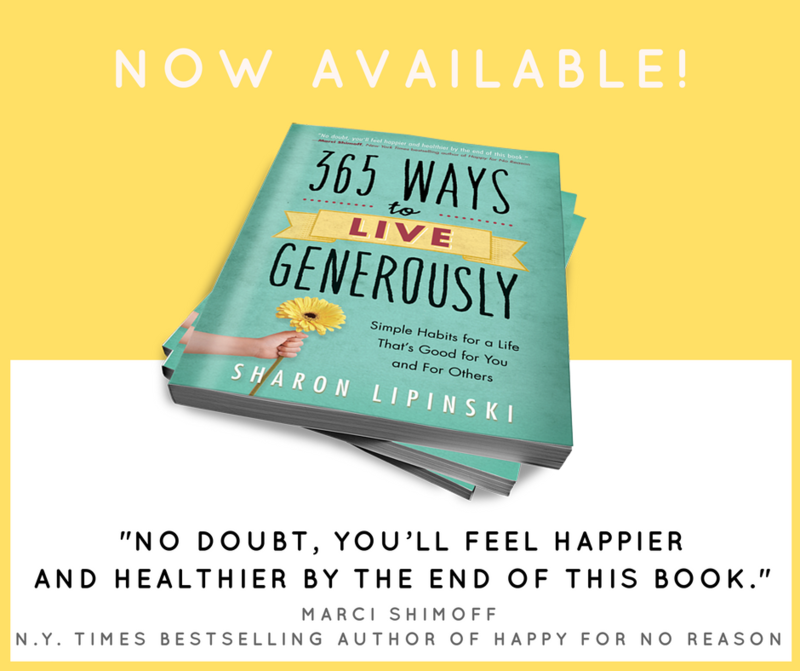 But actually, it touches on a number of the Generosity Habits: physical health, mindfulness, connecting with yourself, gratitude (although in nature, it’s often better called awe), and most importantly simplicity. In nature, life gets the most simple. Ordinarily, your mind and body move at the busy pace of modern life. But nature moves at its own speed. It doesn’t care about your schedule. Nature is concerned with its own intricate dance of life and dance. It doesn’t care about your needs, your wants, or your survival. Being with nature is an opportunity to connect with the simplest truths of life and to let your “busy”ness and chronic mental tension evaporate. Be generous to yourself and spend time in nature. Find a something in your natural world that is bigger than you: a creek, a river, a lake, a large tree, a mountain, a meadow, or the sky. Gaze at it. Sense the slow inevitability of its gradual changes. Become aware of the blind immense unconscious impersonal and neutral forces that created it and will endure beyond you and despite you. Feel the smallness of the human world’s petty activities and desires. Accept that, underneath it all, there is unique rightness and beauty to life.